Best known for his work on Diablo and Marvel Heroes, David Brevik has announced a solo project, It Lurks Below. Check out the best sandbox games for PC. Speaking with Polygon, the former Blizzard North president said the game is an action RPG that brings the sandbox-style, mineable worlds of games like Terraria and Starbound into a more directed RPG-style experience. “I wanted more of a point to a lot of those games,” he said. While he had originally conceived of a much larger, more complex game, Brevik said he’s scaled that initial vision back to something he can complete by himself. And while he’s had decades’ worth of experience with design and programming, he’s had to learn how to become a pixel artist for It Lurks Below. 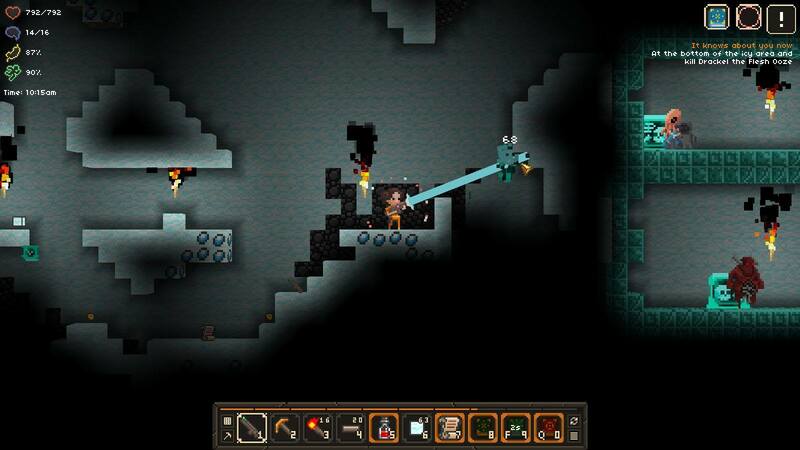 Brevik said he plans on launching It Lurks Below on Steam this year under his studio Graybeard Games, and that he’ll be adding to it after launch as he incorporates feedback from the community. He’ll be streaming the game at his studio’s Twitch channel this weekend.